Rebekah Faul received her Bachelors in University Studies and her Masters in Occupational Therapy, both from the University of Mary in Bismarck. 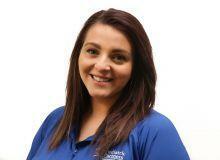 She has experience in school based practice, inpatient rehab and in a skilled nursing facility. Her professional interests include working with children, she has a strong interest in mental health and in the Nurtured Heart Approach.